Without proper maintenance, lawn mower repair is something even the most infrequent users will have to deal with at some point. At best, this will put you behind on lawn and garden maintenance—at worst, you could end up having to purchase an entirely new mower. 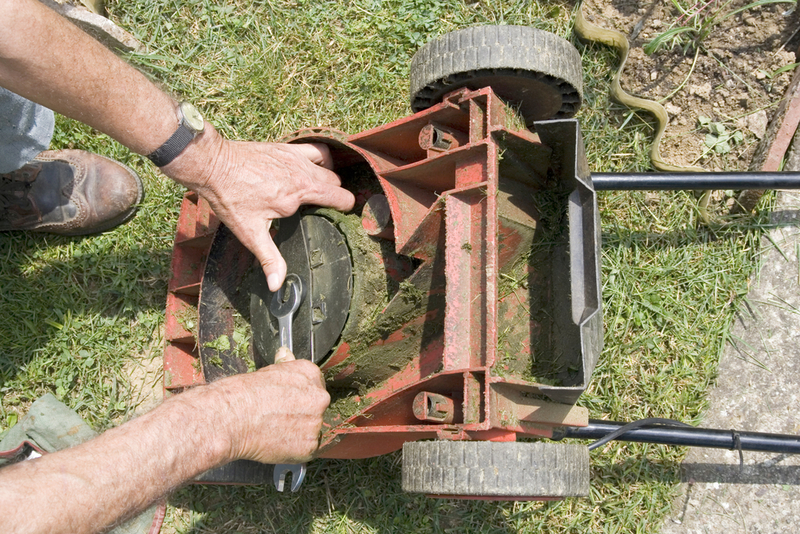 Here are a few problems you should avoid to keep your lawn mower in the best shape possible. Letting your mower run low on oil is one of the fastest ways to overheat it and do heavy damage to the engine and other components. Ignoring this otherwise simple aspect of maintenance will inevitably lead to a need for lawn mower repair. In serious cases, it could call for a new engine or mower. Check oil levels before every use—the same goes for coolant in liquid-cooled equipment. One of the down and dirty realities of mowing is the need to dig deep and clean the mower deck after each use. Neglect this responsibility for too long, and you'll end up with a clogged deck, as well as belts and pulleys that won’t be able to move freely without overheating. It's not always easy to anticipate every single hazard in the yard—over years of mowing, you will most definitely hit a few objects you should have avoided. Some obstacles are more damaging than others, though, and that goes doubly so for tree stumps. Running over these could lead to a bent blade or even a busted crank shaft, so take extra care to avoid expensive repairs and dangerous mowing conditions. The most frustrating part of small engine repair is thinking about all the little things that could have been done to avoid it. Operating your lawn mower carefully and taking pride in maintenance will lead to years of regular use without any issues. For the best in lawn mower repair, Lancaster, WI, residents depend on K N Small Engine & Rental Equipment. They have the experience required for all levels of lawn mower service, so head to their website for more information, and give them a call at (608) 723-3790.